*How we’ve moved into a new phase of life and ministry with the mission training school leaving the country and starting schools in the U.S. Now that it’s just our small team left down here! *How I didn’t even realize all the amazing memories and growth that had happened while living at the mission base. And how I will forever cherish all the good memories and even hard times about community living. I will post more about this another time, I’m sure. *About how I’m tired of being such a people pleaser. It’s exhausting. I just want to say what I mean and mean what I say and not worry about whether or not it is going to offend someone. I don’t want to be mean….just real. I want to give myself the freedom to have an opinion. *How I have hindered my own self in my job. I spend so much energy being overwhelmed keeping up with the kids and the house…feeling that if I can’t get it all done right, then I don’t even want to put much effort in. It’s really lame and I’m tired of it. It’s not an impossible task. I have to believe that I am capable. 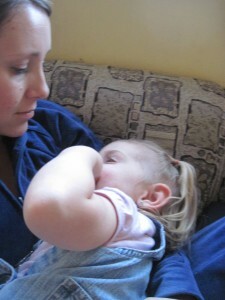 I always dreamed of being a mom and wife…why am I not embracing it fully? *How I’ve embraced this personality that I’m not sure is even me. Compared to my husband, I’m kind of impulsive, and unorganized and extroverted. However, I’m not sure I have realized how much I NEED to be, and have the ability to be organized. I actually REALLY like order….and always have. I have a suspicion that the root is lack of discipline in my life. Yes, I have trouble staying on top of things but I DON’T like it that way! I also have found myself CRAVING alone time whereas before–I CRAVED being with other people…I seriously got a high from hanging out and being around friends. I appear to be kind of sporadic and okay with chaos and impulsivenss….but I’m dying. For real…whatever I’ve been doing—-it’s not working. I constantly feel like I can’t get a handle on my life and I think it may be because I’ve believed that this is WHO I AM. Chris is a little on the extreme end and we’ve always thought I was the other extreme. I’m wondering if I could be somewhere in the middle. Not a neat-freak who has to sweep and mop under my fridge once a week or scrub tile with a toothbrush but someone who appreciates a few labels and containers that hold exactly what they’re supposed to hold and nothing more. A place for everything in my house, neatly folded towells, nicely made beds, an organized fridge, a menu plan and a schedule!!! I want to run my house…not have my house run me. Okay, these are just a few thoughts…I’ll stop there. I’ve discovered that I tend to shut up some when I’m thinking because I’m normally so terrified of being judged. I don’t want to open up and put things out there until I’ve sorted through it some. This, however, feels freeing. If you read this all….wow. Now you know a little more than you wanted to know about what is going on in my head. Oh and there’s more coming, I’m sure. I’ve been feeling somewhat the same. Everything I said “I could never do that” to, now I’m saying “Why not?” It’s a great feeling to know that you can change and not be stuck with who you’ve been for the rest of your life. That’s so awesome Erin! We all need to look at who we are ocassionally and be ready and willing to make a change. I will never forget what I learned in that 5 aspects of woman study – that I am master of my domain (home) and I can control it – rather than it controlling me. I do love that part of you that lets everything come AFTER your family but I agree that you can do both. Greg and I are also in the process of taking back our own lives. We realize we have been sacrificing too much for our kids and it’s time to tell them to act like adults and not be so selfish. We’ve been soft and tried to give them everything, only to be slapped in the face too many times. We are now in the process of learning how to take care of us and setting boundaries on them.